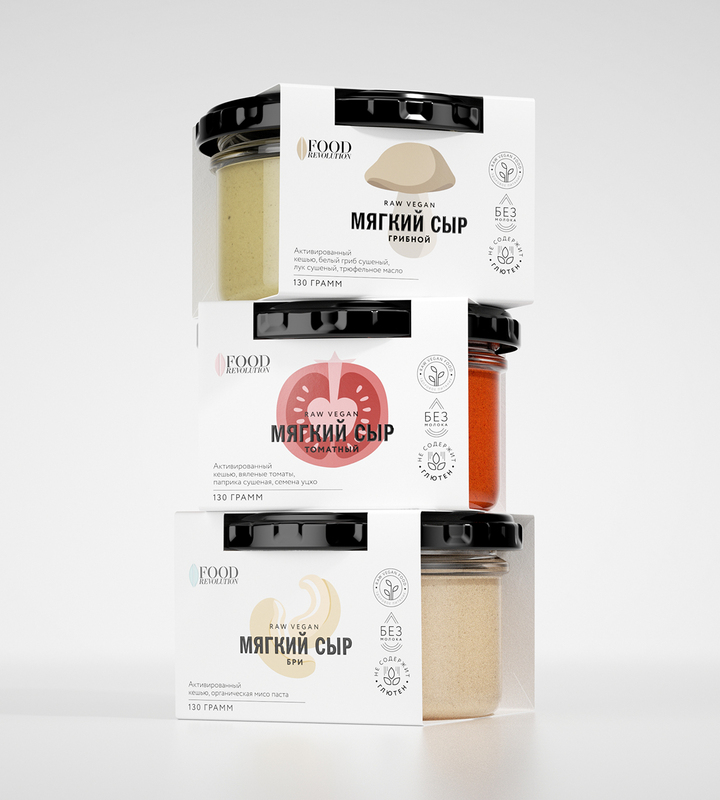 The Food Revolution team, one of the youngest and brightest players in the market of healthy food, expands the range of products. In addition to the snack line, now they have a cheese line. Cheese made of nuts is unusual for most of us, but it tastes like classic soft cheese. The main marketing task that the Ohmybrand agency faced was to expand the target audience of the brand. For that it is important to make the product look appealing for those who don’t know anything about the raw food diet but are interested in healthy eating and search for delicious healthy foods. The product will be presented not only in the healthy food stores but should also stand on the shelves in retail chains alongside with classic dairy cheese. When you create a package for vegan products, it is important to understand if they really relate to healthy food or are just a sort of greenwashing. We have asked an expert for a comment. “This line of cheese is a classic recipe of raw and vegan cuisine. Each ingredient is verified. The value is in the absence of soy, sugar, dairy products and gluten. Fermentation (cashew and miso paste) is really great for health — it supports good intestinal microflora and is an alternative to popular products such as sour cabbage, yogurt and kombucha. 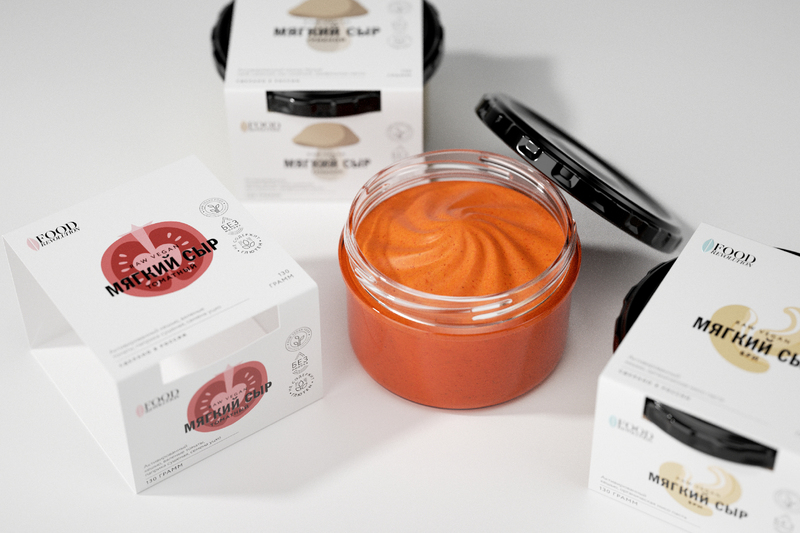 Food Revolution technologists have managed to preserve the quality and the naturality of the ingredients during the transition to the mass production”. 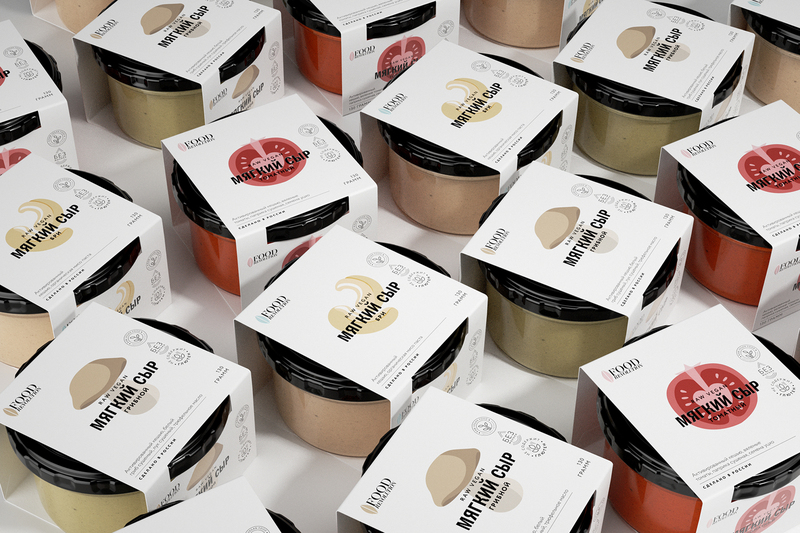 The design of the vegan cheese packaging has been created with the references to the typical traits of the dairy cheese category. It has retained its continuity to the main Food Revolution line. 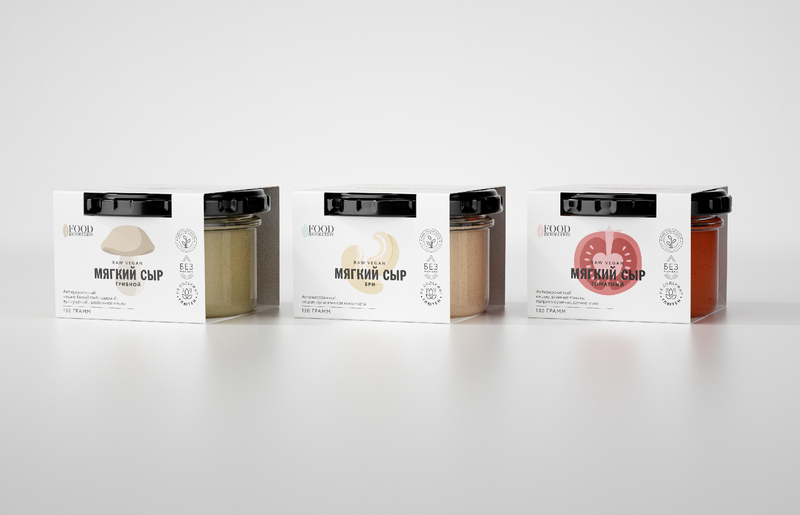 At the same time, knowing the specifics of this category, it was important to show the ingredient group as the key element of the packaging design. 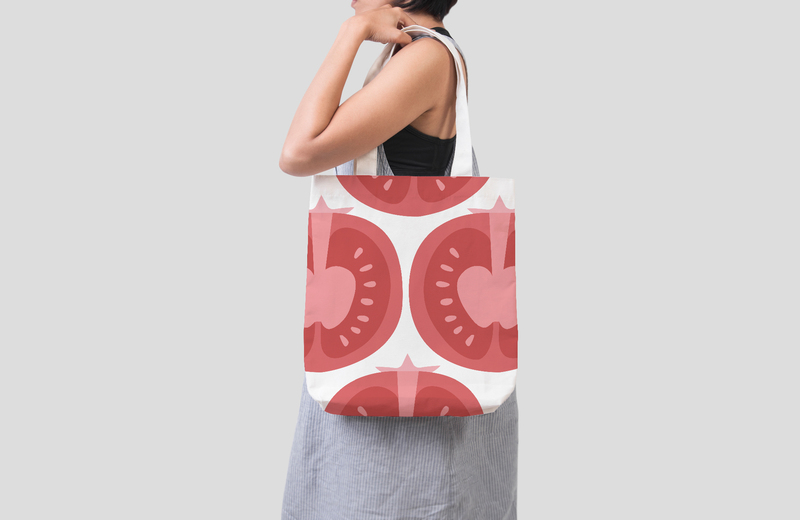 The style of illustrations allows to create memorable vegetable prints and promotes the brand Food Revolution in an unusual way. ← I wish you some good tea!